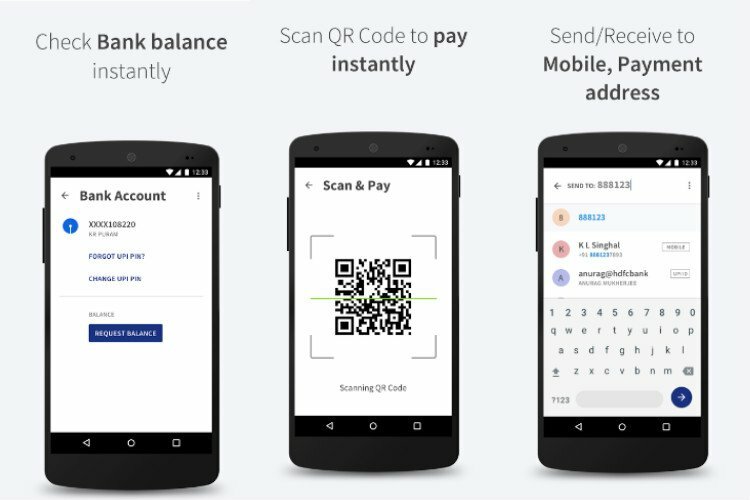 How and Where to Download BHIM App for Android? Prime Minister Narendra Modi has Launched a new mobile app – BHIM (Bharat Interface for Money) in India. The purpose of the app is to enable fast, secure, easy and reliable payment that uses smartphones for cashless transactions. “Be it a smartphone or feature phone of Rs 1,000-1,200, BHIM app can be used. There is no need to have Internet connectivity. One only needs a thumb. There was a time when an illiterate was called ‘angutha chhap’. Now, time has changed. Your thumb is your bank now. It has become your identity now,” PM said at the DigiDhan event. PM Modi felicitated that the first set of 7,229 winners of Digi Dhan – Lucky Draw under which daily reward of Rs 1,000 will be given to 15,000 lucky consumers for a period of 100 days. He also said that the technology is not the treasure of the wealthy but is power given to the poor. The Aadhaar-based payments app has been developed by the National Payment Corporation of India (NPCI). The ‘Made in India’ app is interoperable with other Unified Payment Interface (UPI) applications, and bank accounts. Where to download BHIM app from? The app is available on the Google Play Store for Android Users. The app will launch later for iOS users. After downloading the BHIM app from the Play store, the user has to register his/her bank account and set up a UPI Pin for it. The user’s mobile number will become the payment address. Once registered, you can start transacting using the BHIM app.